Paragraph 6 – Security Deposit: From the landlord perspective, it is a good idea to include lease language wherein the tenant waives its rights under Civil Code §1950.7 allowing the landlord to apply security deposits toward future rent. Paragraph 7.4(b) – Removal and Surrender: Under the AIR lease, landlords may require tenants to remove alterations and utility installations by providing notice between 30 and 90 days before the end of the lease term. To avoid unanticipated costs, tenants should seek language requiring landlords to provide notice of landlord’s requirement of removal before the alterations or utility installations are made. This way, tenants can calculate the costs of removal in deciding whether the improvements are economically feasible. Paragraph 12 – Assignment and Subletting: The AIR lease does not address circumstances where an assignment results in net profit to the tenant. Landlords and tenants should work with their attorneys to include lease language that defines profits in such situations and how those profits are to be divided. Paragraph 20 – Limitation of Liability: Paragraph 20 limits a tenant’s rights to recover damages from the premises assets for the satisfaction of any liability of the landlord with respect to the lease. This language is common in commercial leasing. However, where possible, tenants should seek to eliminate the provision. If they cannot, one alternative is to better define the assets tenants may go after including rents, profits, and other income from the commercial property. Paragraph 47 – Waiver of Jury Trial: Under Paragraph 47 of the AIR standard commercial lease, the parties waive their rights to a jury trial. Such clauses are unenforceable in California. Commercial landlords continue to include them in their leases probably in the hope that someday the law might change. Because tenants typically do not benefit from such a waiver and because the clause is unenforceable anyway, the clause should be omitted. Paragraph 49 – Americans with Disabilities Act (ADA): The AIR lease places the burden on the tenant to ensure that the leased space is ADA compliant. Tenants should seek removal of this clause, or at the very least seek amendment of the language to require landlord to warranty that the property is presently ADA compliant or will be by the commencement date. Brokers: The AIR standard commercial lease contains several clauses pertaining to brokers. Because these clauses do not relate to the landlord/tenant relationship, the parties should consider eliminating the language. If brokers are involved in the transaction, landlords might consider a separate agreement. These are of course general issues that arise in negotiation. The discussion is not intended to include an exhaustive list of important issues for landlords and tenants to consider when entering into an AIR standard commercial lease. San Diego businesses should review each and every clause in the lease and consult with an attorney before entering into an agreement. Significantly, it is important that each side recognize their respective bargaining positions. 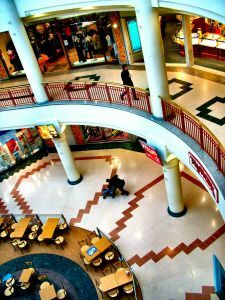 A major department store that anchors a shopping center will have much greater success when it comes to negotiating more favorable tenant terms. Smaller businesses in a big pond need to be careful that they don’t negotiate themselves out of a desirable lease. Consultation with an experienced commercial lease attorney is the best way to balance these concerns.